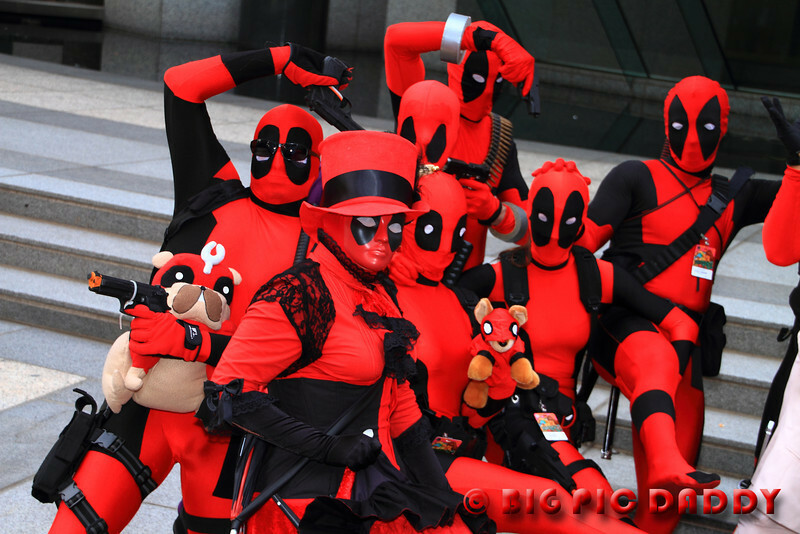 NOW the SCF Deadpool Shoot goes to another level entirely! Daniel Way, current writer of Deadpool, literally happened to stumble onto our Shoot while in action. He asked if he could join in. Hey, yeah! And then the real fun commenced. Bob, Evil Agent of HYDRA, got the receiving end of most of the DP/Daniel Way love. Truly, a night to remember. Daniel was a blast and really played along well. The SCF DP crew were beside themselves. The Shoot was electric and the best time at DC '11.